I have really enjoyed the Outmoded Authors Challenge. The Challenge was to read however many books by however many authors you liked. I have read books that I wouldn’t have read otherwise and have learnt about others from the reviews by other people. Thanks to Imani, who hosted this challenge. My initial list is here. Ivanhoe by Sir Walter Scott. I’d never read anything by Scott before and had an idea that his books would be difficult to read. I didn’t find Ivanhoe difficult at all and enjoyed reading it. My thoughts on this book are here. 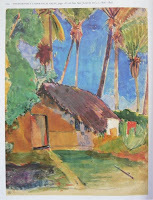 The Moon and Sixpence by W Somerset Maugham, another author whose work I’d never read before. I wrote about this here. The Balkan Trilogy by Olivia Manning. I know nothing about Manning’s books. 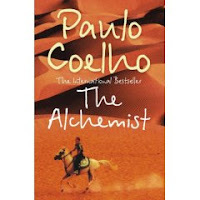 I only managed to read two books in the trilogy – The Great Fortune and The Spoilt City. Friends and Heroes, the third book was listed in the library catalogue but when I tried to borrow it I found that it was no longer available because the branch library which holds it had been closed due to the library cost-saving cuts. I’ve been listening on Radio 4 to the trilogy so I now know what happens in Friends and Heroes, but I will read the book as soon as I can get a copy. Sons and Lovers by D H Lawrence. I had previously read Women in Love and The Virgin and the Gypsy, but not Sons and Lovers. I loved it – see here. 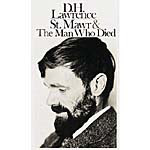 I also read The Man Who Died – see here. The only book I started and didn’t finish was As a Man Grows Older by Italo Svevo. I knew nothing about this author. 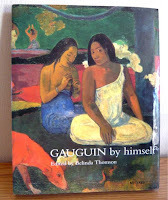 The library has a copy of this book which I borrowed. I don’t often abandon a book but soon after I started to read it I thought it was tedious and I took it back unread. I did read the Introduction after I’d decided not to read the book and was dismayed when I read that he had been encouraged by James Joyce in his writing. I think I’d like to read Ulysses sometime, but if it’s anything like Svevo’s book that will be another book I’ll abandon. I’m looking forward to joining in again when the second challenge starts later this year. I have just discovered that The Balkan Trilogy is being broadcast on BBC Radio 4 as Fortunes of War. Today was the third in a series of three programmes, two programmes allotted to each book in the trilogy. It seems that Olivia Manning is no longer an outmoded author. The dramatisation is good, with Joanna Lumley taking the part of Harriet, looking back on events and Honeysuckle Weeks as young Harriet. Both are just right for the part. I’™ve read the first two books The Great Fortune and The Spoilt City, but not yet read the third book Friends and Heroes. I am waiting for it to be delivered, so in the meantime this is just perfect. I’™ll be able to listen to it in the next two episodes before I get to the book. The Spoilt City was first published in 1962, published by Arrow Books in 2004. 295 pages. 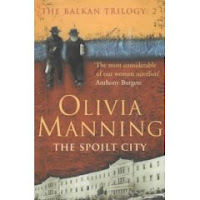 It is the second in Olivia Manning’s Balkan Trilogy. (I wrote about the first book The Great Fortune here.) It continues the story of Guy and Harriet Pringle’s life in Bucharest during 1940. The ‘Phoney War’ is now over and the invasion by the Germans is ominously threatened causing much unrest and uncertainty. Guy’s generosity to everyone frustrates Harriet in her attempts to survive and indeed to leave the country. They are ordered to leave but he persists in staying put as the escape routes were being blocked. As Guy argues the case for staying ‘we represent all that is left of western culture and democratic ideas”, Harriet begins to think that even though they have only been married for one year that the bonds between them are loosening. Once again Yakimov comes to the fore, providing some comic relief. He is one of the people that Guy tries to help. He visits Von Flugel, a Nazi and an old friend in Cluj. Von Flugel thinks Yaki is a British spy, but even so he gives him 25,000 lei to return to Bucharest to buy an Ottoman rug for him. When he gets to Bucharest he finds everything has changed for the worse, the army has been called out and an attack on the palace is expected. He quickly packs up and leaves on the Orient Express for Istanbul using the money from Von Flugel. As the blitz on London begins Harriet increases her efforts to leave the country but Guy still wants to stay. They go for a short ‘holiday’ in Predeal in the mountains and Harriet becomes increasingly critical of Guy and feels bored in his company. As both their relationship and the situation in Rumania deteriorate Guy persuades Harriet to leave without him after their flat is raided and ransacked. The story is continued in Friends and Heroes, the third book in the trilogy. The Outmoded Authors Challenge finishes at the end of this month and it’s not looking as though I’ll read the third book before then, but I will definitely read it before long. 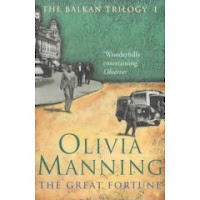 The Great Fortune is the first in Olivia Manning’s Balkan Trilogy. It tells the story of Guy and Harriet Pringle’s marriage set against the background of Bucharest during the ‘Phoney War’ period of 1939/40. Guy teaches in the English Department of the University and Harriet has to find her place in Guy’s friends’ and colleagues’ university circles in the multicultural city. England and Germany are already at war and tensions are high, as the Rumanians fear a German invasion. Throughout the novel there are contrasts between the rich ruling classes and the peasantry; between life as it was pre-war and the uncertainties and fears that the war is bringing; between the British community in Bucharest and the Rumanians; and between Guy and Harriet as they both adjust to married life, with Harriet making most of the adjustments. When the trasura stopped at Pavel’s, one of the largest of the open-air restaurants, there could be heard above the traffic the shrill squeak of a gypsy violin. Within the shrub hedge of the garden all was uproar. Of all the characters Harriet and Prince Yakimov, or as he refers to himself ‘poor old Yaki’, a Russian emigre, half Irish and half White Russian, are the most memorable to me. Harriet is finding it difficult living in a foreign country amongst people she doesn’t know, feeling isolated among strangers, both British and Rumanian, jealous of Guy’s friends and his relationship with Sophie (who had hoped he would marry her) and his allegiance to other people seemingly over his marriage. Yaki, a raconteur and joker, who is said to ‘have a peculiarly English sense of humour’ uses every opportunity to sponge off anyone who will ‘lend’ him money, give him a meal or a bed for the night. He is forever ‘waiting for m’remittance from m’™poor old ma’, promising to repay the loan when it arrives, only to spend it as soon as it does without repaying anyone. I found the book interesting and informative about the start of the Second World War. It is also an entertaining book working on different levels, exploring the nature of marriage, friendship, patriotism and the attitudes and beliefs of the pre-war period. It’s written in a style that is slightly detached yet energetic and sympathetic. I think I’ll re-read it, as I’m sure there is much that I missed at this first reading. The next book in the trilogy is The Spoilt City. I’ve reserved it at the library and hope it won’t be too long before it arrives.